The following are some of the most common reasons to choose a particular primary school. Each should be considered carefully before making the final decision. Choosing the local primary school is a natural step for many parents. This may be because you want your child to have friends in the neighbourhood or because the location suits your morning and afternoon schedule. Another important factor is the likelihood that children your child knows from the local kindergarten will also be attending the local school. If you choose a primary school that is not in your local area, you must take into account how stressful it can be shuttling children to and from school and to their friends’ houses on weekends. Many schools provide education from ELC through to Year 12. You may choose this option if you want your child to attend the same school for the duration of their education. Some schools may choose to integrate junior and senior students on one campus, while others may spread year levels out across multiple campuses. One concern is that your child will not have the opportunity to socialise with new people as they mature, but this is not necessarily the case as many new students enter ELC to Year 12 schools at secondary level. Some parents also choose to move their child into an ELC to Year 12 school in Year 5 or 6 to establish them in the school environment before they make the transition to secondary school. The primary school you choose may be a well-known feeder school for a secondary school you will consider for your child’s secondary years or may be in the right zone for entrance to your preferred secondary school. The IB provides an international education to prepare students for a global environment. IB aims to develop a sense of enquiry by following six transdisciplinary themes: who we are, where we are in place and time, how we express ourselves, how the world works, how we organise ourselves and sharing the planet. For a full list of schools offering the IB Primary Years Programme, visit the IBO website. Not all schools offer language programs. In those that do, the languages offered vary, with most schools opting to teach a single language throughout the primary years. Some schools also offer bilingual programs, in which selected subject areas (typically the arts, the humanities, mathematics and science) are taught in a language other than English. For parents of a budding athlete or musician, it is worth researching whether the school offers programs to cater to your child’s needs. Music programs may include group or private lessons or student musicals in which your child could perform. Sports programs may include anything from inter-school sporting competitions to school sports clubs or outdoor camps for older students. 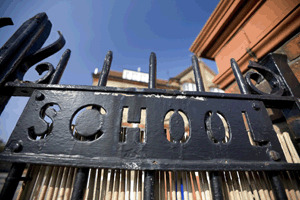 There are a large number of Catholic schools to cater for Catholic families, while independent schools may be secular, non-denominational or aligned with a particular faith. Most religious groups are catered for at the primary level, including Christianity, Islam and Judaism. Government schools also provide some degree of religious education, with students taking part in religious instruction programs. Some schools may offer a non-traditional teaching philosophy such as Steiner or Montessori education. These programs may also be available at early childhood level and secondary level.